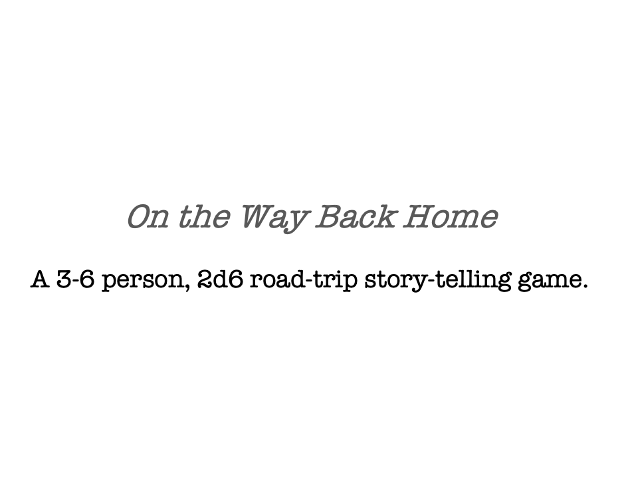 On the Way Back Home is a story-telling game about returning from a road-trip based on rolling 2d6. Each player takes turns either playing out a scene or talking about what they miss from home. 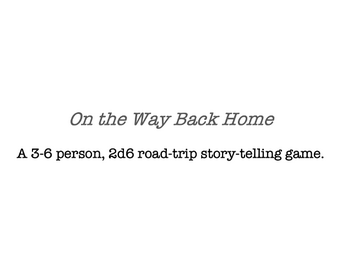 Depending on the result of the dice, players may become more annoyed at those on the trip with them. This game is a one-page nanogame PDF for 3-6 players.